Looking and feeling your best is the only antidote to the march of time. We specialize in restoring your natural youthfulness and vigor through the use of the latest bioidentical hormones replacement therapy for men and women as well as non-invasive in-office aesthetic procedures for skin rejuvenation, facial lifting, and body fat reduction. How you believe you look is so closely related to how you feel. What might be surprising to you is that studies show success in appearance is closely linked to success personally and professionally. Symptoms related to hormone levels can be treated, and often completely eliminated with natural, bioidentical hormone therapy. Repair. Restore. Renew Your Skin. Has your skin lost its vibrance and is in need of a transformation? 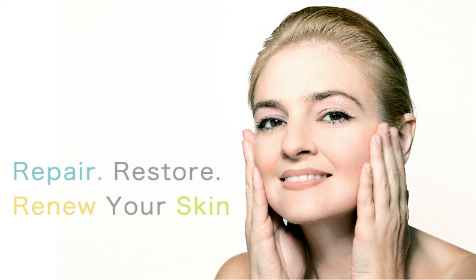 Try Cutera Skin Resurfacing® to reduce the effects of aging. Learn More. Find out about Dr. Birken's cutting-edge techniques not only to cure his patients of what ails them, but also to inspire them to live healthy lives full of vitality and joy. In his new guide, he shows you exactly how he has achieved these dramatic results. Stop in the office, and get a free autographed copy or purchase here. "Thank you, Dr. Birken, for finally taking us down this path of focusing on the patient and not what we were taught conventionally." Even while successfully implementing a weight management program, there can be areas of the body that are resistant to general weight loss and reshaping through exercise. Or, you may already be at your optimum weight but just can’t get rid of some leftover fatty deposits. CoolSculpting can be the solution to this problem. It is a non-surgical and natural treatment that reduces or eliminates fat in the body. Based on the proven science of cryolipolysis, CoolSculpting works by gently freezing fat cells in the precise areas targeted. The fat cells crystalize from the cold and eventually die. Then over time, the body naturally eliminates these dead cells just like it does for other dead cells and any material no longer needed..